When Mike Campbell chooses to take your guitars to the stage, you know you must be doing something very right! 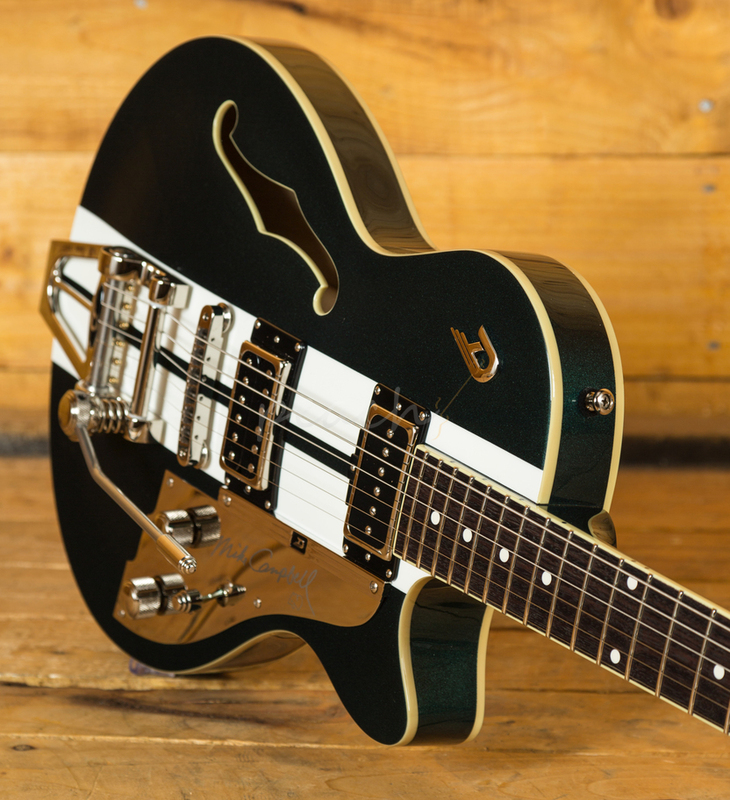 Since the crafting of the very first Starplayer in a Hannover basement back in ’95, Duesenberg have taken their place among guitars elite. 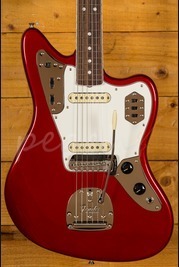 Their unique fusion of impeccable construction and 50’s art deco flair making them a brand you can’t ignore. 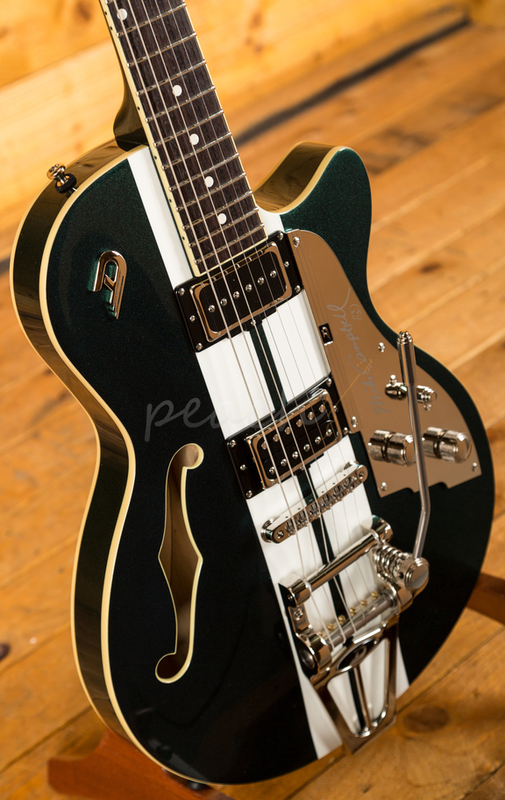 Mike Campbell is a long time Duesenberg artist and this Starplayer was put into production to celebrate 40 years of Tom Petty and the Heartbreakers. 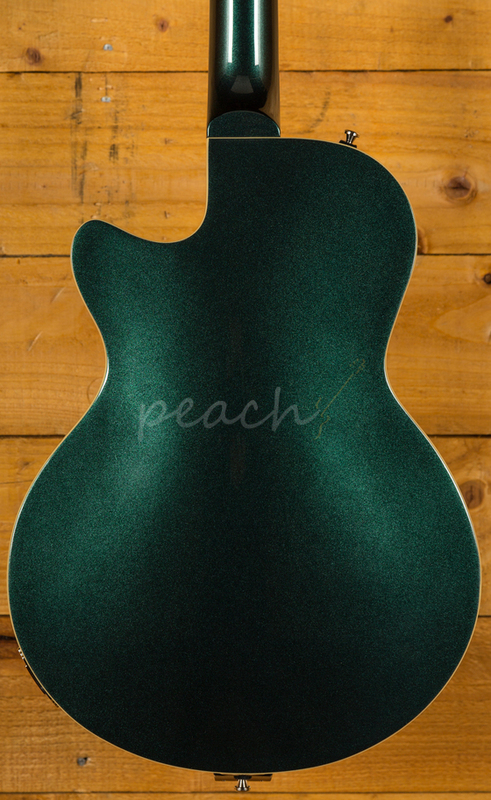 Featuring a Laminated Flame Maple back and sides with a Laminate Spruce top, this semi hollow design with sustain block allows for a stable, rich, resonant and dynamic tone. 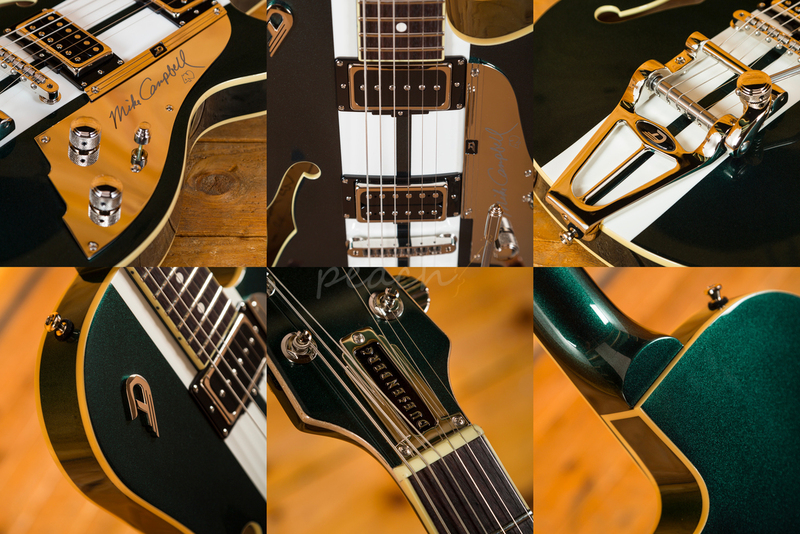 The signed Nickel pickguard and Duesenberg badge perfectly complement the lush Catalina Green and White finish, it’s bold, crisp and super classy. 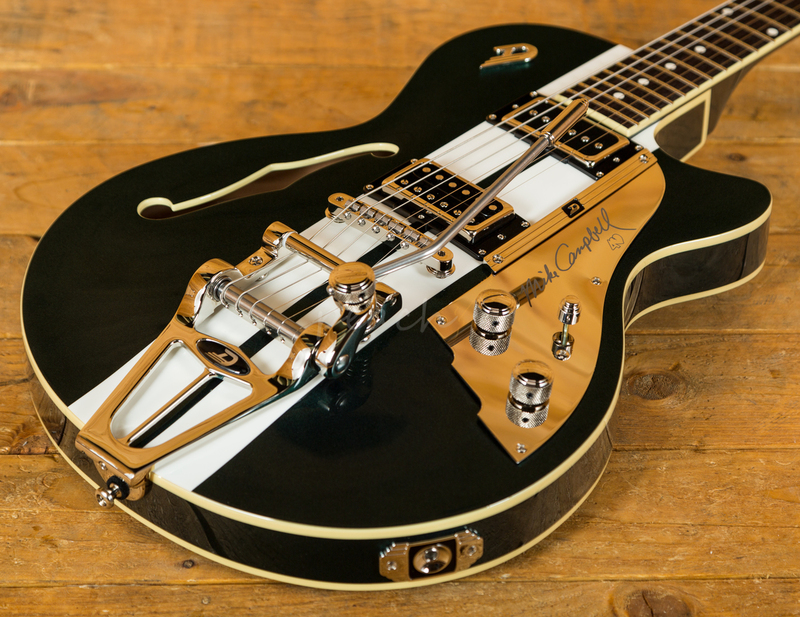 A Duesenberg proprietary Deluxe Tremola offers incredible vibrato and tuning stability, this is a thing of beauty, flawless construction and super smooth and precise operation. 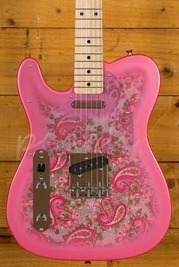 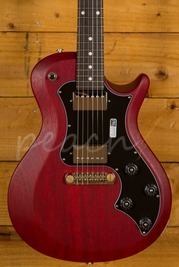 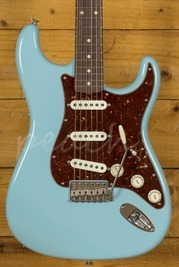 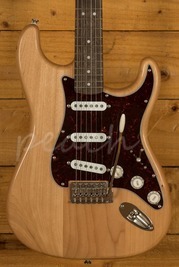 The Maple neck boasts an Indian Rosewood fingerboard, D shape profile, 22 jumbo frets and a 12” radius. 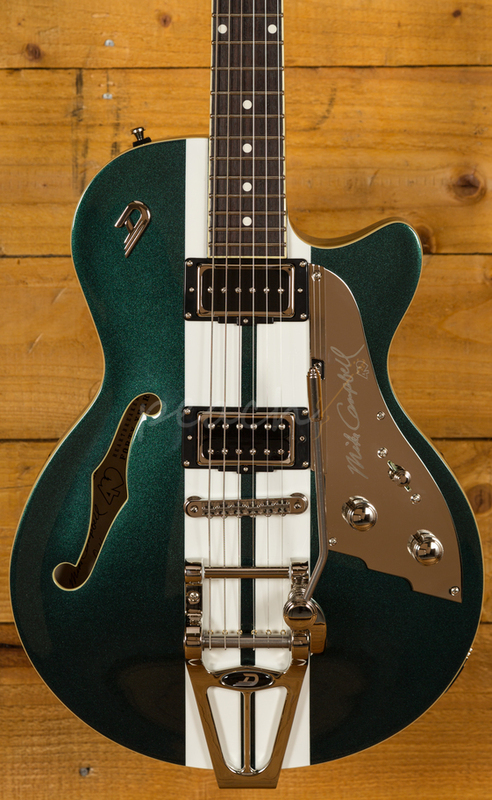 It’s supremely comfortable and offers a great playing experience right up the neck, whether you want to lay down some big chords or tear up the fretboard, the Mike Campbell Starplayer is fully equipped to deliver.